AUSTRALIA Zoo Wildlife Hospital staff are used to admitting sick and injured koalas but one new arrival recently gave them a bit of a shock. The koala patient named Bowie, was picked up by the Australia Zoo Rescue Unit near Brendale last month after presumably being hit by a car. 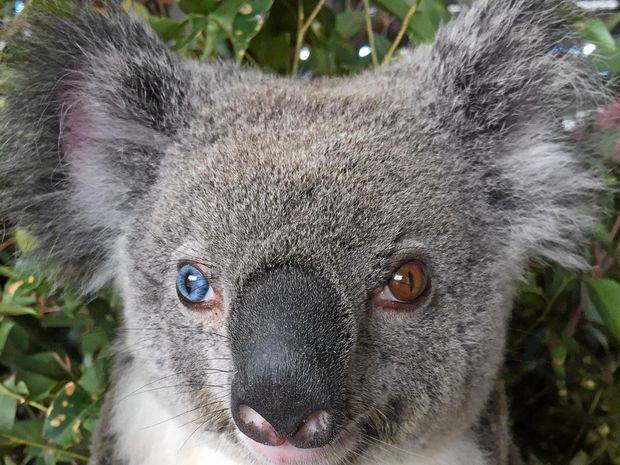 Her examination revealed that she escaped major injury while it also revealed something extremely special about her – Bowie has “heterochromia”; an extremely rare genetic condition in koalas that causes their eyes to be two different colours. The Rotary Club of Glasshouse Mountains has also generously contributed to her care and helping Bowie along her recovery journey. Like with all wildlife patients, eventually the aim is to release Bowie back to the wild, well out of harm’s way so she can help the vulnerable Queensland koala population survive. 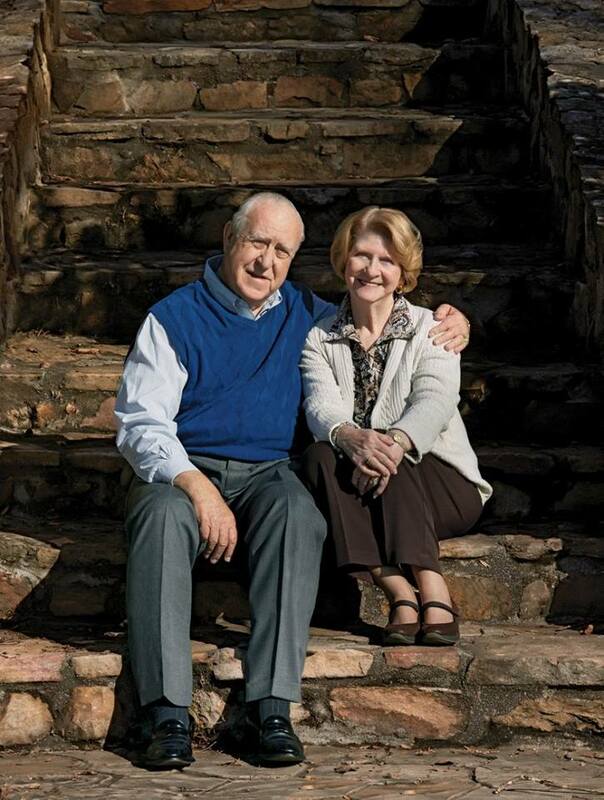 Just before John Germ dropped by, Rick Youngblood took a deep breath. “You want to match his energy,” he says, “but he makes it hard to keep up.” Youngblood is the president and CEO of Blood Assurance, a regional blood bank in Chattanooga, Tenn., that Germ helped found in 1972. After his visit with Youngblood, Germ strode between mountains of empty bottles and cans at Chattanooga’s John F. Germ Recycling Center at Orange Grove, which he designed, before he drove to a construction site and popped a cork to dedicate a Miracle League field where special needs children will play baseball – all before zipping to the airport for a flight to Chicago and a cab ride to Rotary International World Headquarters, where he takes office as president of RI this month. Members of the Rotaract Club of Bugolobi, Uganda, participate in their annual 1000 Smiles project, which has been recognized as the 2016 Rotaract Outstanding Project Award winner. 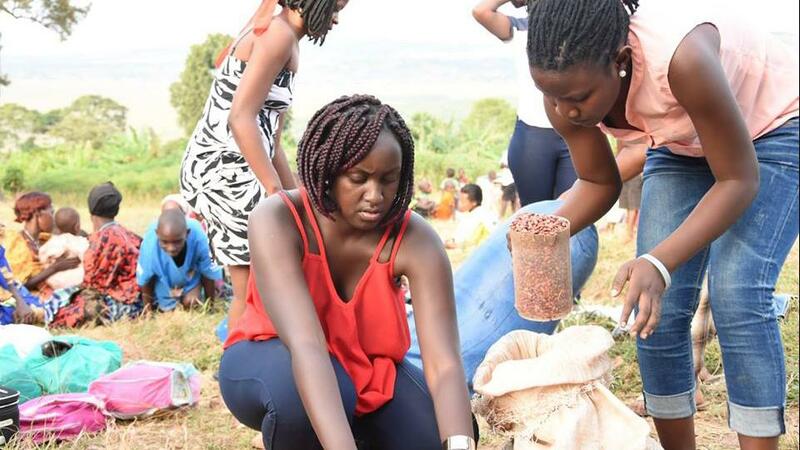 Though they were a long way from home, members of the Rotaract Club of Bugolobi, Uganda, felt confident they could tackle problems in rural Kanabulemu during their annual 1000 Smiles project. Their original plan focused on curtailing the spread of HIV/AIDS. It’s in the Rakai District, where the first case of AIDS in Uganda was uncovered in 1982 and about 12 percent of the population has been infected with HIV in recent years. But the Rotaractors discovered that problems in the village extended far beyond the disease. The Rotaractors still weren’t prepared for what they found when they launched the project with the Uganda Health Marketing Group. They expected to treat 700 at the medical camp in Kanabulemu. More than 1,000 patients came. Volunteers, including Rotaractors from other clubs and members of the club’s sponsor, the Rotary Club of Bugolobi, provided comprehensive medical exams, dental screenings, medication, birth control, and more. And the troubled maternity ward? It got new mattresses to make childbirth more comfortable.